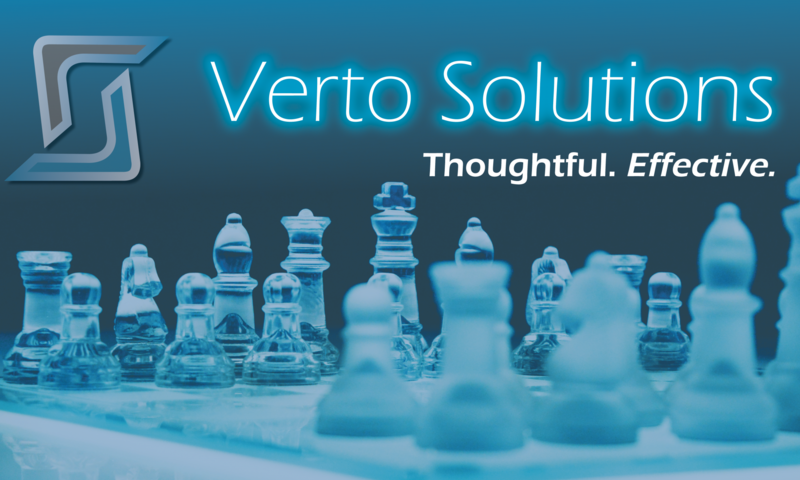 Verto Solutions was launched in January, 2011, though the firm traces its roots back more than four decades. Our Managing Directors – John Cox, JD, Christie Gavin, MPH, and Sean Taylor, Ph.D. – are highly regarded association executives who have worked with various international and national regulatory bodies, coalition partners, and our clients for many years. They acquired The Roberts Group upon the retirement of its owner, Glenn Roberts, in late 2010. As part of The Roberts Group’s management team, John, Christie, and Sean played key roles in expanding the association management business to include significant representatives from the domestic and international food industries, as well as from the non-profit sector. The scientific staff of The Roberts Group, many of whom are still with Verto Solutions today, are globally recognized leaders in the safety evaluation of chemicals added to food. The seed of what has grown into Verto Solutions was planted in the 1960s by Daniel R. Thompson when he was hired as the General Counsel and Executive Director of the Flavor and Extract Manufacturers Association (FEMA) to represent its interests in Washington DC. The Law Offices of Daniel R. Thompson expanded and retained the Fragrance Materials Association, the International Association of Color Manufacturers, the American Spice Trade Association, the Research Institute for Fragrance Materials, and many others as clients. Verto’s client list has expanded since the 1960s, and we are proud that several science-based membership organizations have given us their trust and confidence to lead them since they first retained the services of Daniel Thompson’s law firm. Let us earn your organization’s trust and confidence. Contact Verto today!